The 240 BLITZ™ was our first true long distance light and began our reputation for high performance and light intensity. For long distance, power and value for money, the 240 BLITZ is certainly worth considering. Internationally recognized, the computer designed parabolic reflector and lightweight ergonomic design delivers a spotlight that is unequalled in light output, quality, durability and user comfort. Lightforce produces a wide range of lights, designed to enhance any situation that requires superior portable lighting that will not let you down. 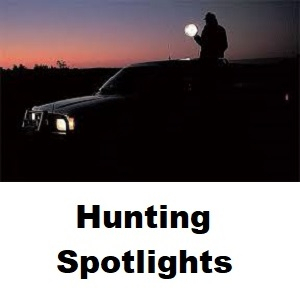 Typical uses include hunting, fishing, boating, camping, security, military and police, surveillance and the observation of nocturnal animals.